Picking out Christmas gifts is one of the most stressful parts of the holiday season, but there’s nothing quite like seeing the look on the recipient’s face when he or she opens a thoughtful present. I always try to match gifts to my friends’ and relatives’ interests and personalities. It might make the holiday shopping season more complicated, but it’s so rewarding when you finally find the perfect present. Okay, so you have someone on your gift list that’s a total bookworm. But what in the world can you get him/her besides another plain old book? These are some of my favorite gift ideas for your book-loving BFF. 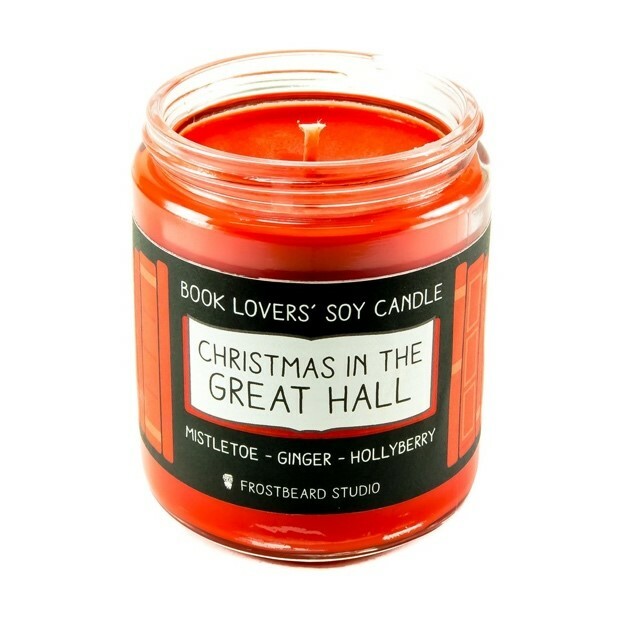 Everyone loves a good-smelling candle, especially if it’s inspired by a favorite book. There are a lot of Etsy sellers that make candles based on literature. Frostbeard Studio makes scents from Harry Potter (among many others), while Mirus Candles sells scents inspired by the characters from the Throne of Glass series. You could also opt for a vintage bookshop candle if you’re unsure of your recipient’s favorite story. Nothing is more frustrating than reorganizing your bookshelf and having the end books slide all over the place. Plus, who doesn’t like new home décor items? Wayfair has quite the collection of decorative bookends, but I really love this cheap stone pair from Amazon. I’ve even seen some literature-inspired bookends, too, like this Lord of the Rings set! I did one of these for an art project during my freshman year of college, and I still have my “book birdcage” to this day! You can create a beautiful, homemade décor piece with just an old book and a few hours of your time. Folded Book Art has a huge selection of ideas and free templates to download, but if you’re feeling adventurous, a quick search on Pinterest will yield some creative results. If your friend has an impressive collection and frequently loans out books, you can get him or her a personalized bookplate stamp from Etsy. This way, he or she can place a reminder on the inside cover of each book if the borrowers ever forget the original owner. 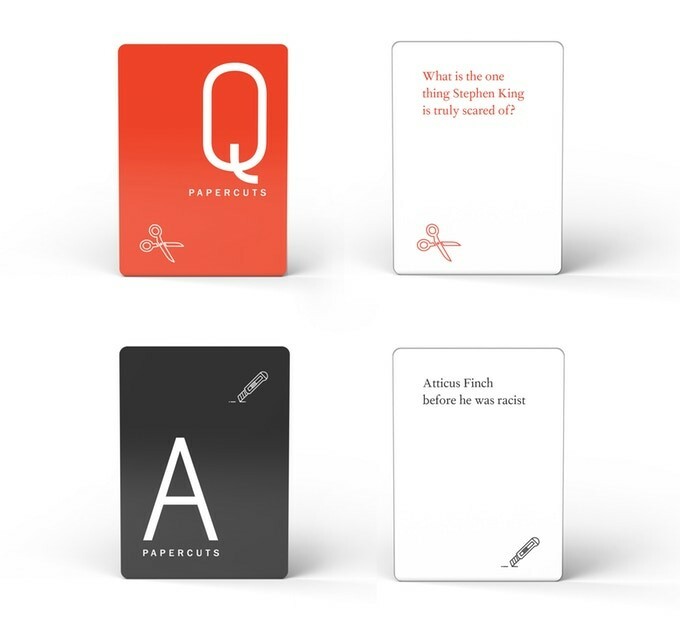 Papercuts is a fun party game that’s basically Cards Against Humanity for bookworms. Since it’s an up-and-coming game on Kickstarter, you can snag it for a really cheap price. You can’t go wrong with a compilation of little items. I love the idea of creating a gift basket inspired by a specific book or character. A good gift basket should include at least one of each of these items: food, beauty or personal care, décor, and knick-knacks. For example, you could create a Harry Potter gift basket that includes a chocolate frog, Hogwarts makeup brushes, a Gryffindor blanket, and a golden snitch key ring. You can customize the items to match the theme of any specific book! And if all else fails, don’t feel bad about keeping it simple and buying them a book. Trust me, coming from a bookworm herself: books are sometimes the best gifts we can receive! We also love gift cards to Barnes & Noble and Amazon to grow our collections. I hope that some of my gift ideas sparked inspiration for your holiday shopping list! With just a little bit of thought and planning, you can find the perfect gift for your book-loving friend. I hope that you have a safe and happy holiday season! I know that I’ll be spending my time on Christmas break curled up by the fireplace catching up on my reading list.